Leanne Tobias, LEED AP is founder and managing principal of Malachite LLC. Ms. Tobias brings over 20 years of institutional real estate investment, development and management experience to the sustainable real estate field, as well as extensive international contacts in commercial real estate development, finance, government and related disciplines. Ms. Tobias specializes in the management of sustainable commercial real estate projects and portfolios, finance and investment management, green building certification, and public-private programs to facilitate green building development. She is one of the first commercial real estate investment and management experts to have been designated as a LEED Accredited Professional by the U.S. Green Building Council. 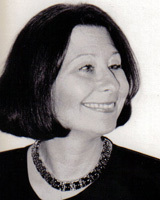 In addition to her work with private real estate and investment clients, Ms. Tobias is a sought-after international speaker, who has lectured on sustainable real estate investment and development for the United Nations; Harvard, Columbia and Wharton Business Schools; the Urban Land Institute; the U.S. Green Building Council and many others. Ms. Tobias is an advisor to the U.S. Environmental Protection Agency’s Environmental Finance Advisory Board, to the Green Building Finance Consortium, and to Washington, DC’s Green Building Task Force. She also has held advisory roles with Building Design and Construction and the U.S. National Renewable Energy Laboratory. Ms. Tobias was previously Managing Director of the Multi-Employer Property Trust, a multi-billion dollar commercial real estate equity fund, where she managed its Investment Committee, negotiated or participated in more than $1 billion in real estate acquisitions and sales, and managed over 6 million square feet of property, including sustainable projects, across the U.S. She headed the real estate operations of the AFL-CIO Building Investment Trust, and directed programs for commercial real estate capital markets lenders, banks, pension funds and life insurance companies at the Mortgage Bankers Association. Ms. Tobias also has worked with numerous government agencies and is an expert on economic stimulus initiatives. Ms. Tobias is the author of Retrofitting Office Buildings to be Green and Energy Efficient, the Urban Land Institute’s authoritative new book on green office renovation, as well as the investment and finance sections of ULI’s Green Office Buildings: A Practical Guide to Development. She is frequently quoted in the international media, including The New York Times, CBSNews.com, Investment and Pensions Europe, the Christian Science Monitor, Building Design and Construction, Realtor Magazine, WashingtonPost.com, National Real Estate Investor, the Toronto Globe and Mail, and many others. Green real estate projects for which Ms. Tobias provided investment financing and management have been featured in a documentary on U.S. television created by the executive producer of Al Gore’s Academy Award-winning film, An Inconvenient Truth. Ms. Tobias holds an MBA from Wharton Business School and a Master’s of Public Affairs degree from the Woodrow Wilson School at Princeton University.